Lack of sleep causes fatigue, and can have a negative impact on your overall health and well-being. Aim for seven to eight hours of sleep every night. Go to bed at the same time every night, and wake up at the same time each morning to keep yourself on schedule. Make sure your mattress is comfortable, the room is sufficiently dark and cool, and your cell phone and television is off. If you are still unable to sleep after making changes to your sleep environment, consult a doctor to rule out a sleep disorder. 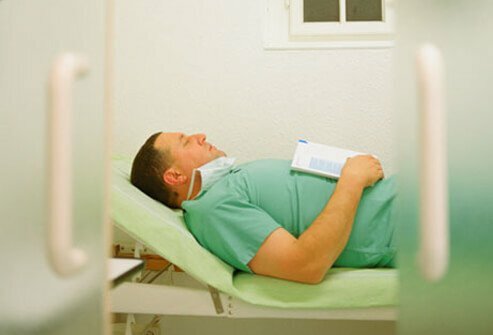 Sleep apnea is a serious sleep disorder where sufferers briefly stop breathing for short periods during sleep. Most people are not aware this is happening, but it can cause loud snoring, and daytime fatigue. Being overweight, smoking, and drinking alcohol can all worsen the symptoms of sleep apnea. Lose weight if you are overweight, quit smoking, and avoid alcohol. Your doctor may also prescribe a CPAP device, which helps keep your airways open while sleeping. What you eat (or don't eat) can affect how much you do or don't sleep. Not eating enough, or eating foods that are not nutritious can cause fatigue. 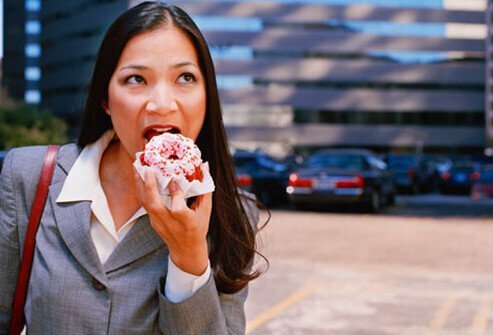 If you eat foods that cause spikes in your blood sugar, as soon as those sugars drop, you feel fatigued. Eat a balanced diet, complete with fruits, vegetables, whole grains, and protein. Avoid or limit junk foods high in sugar and fat. 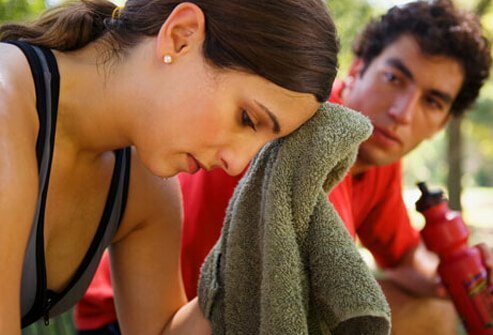 Iron deficiency anemia is a common cause of fatigue in women. 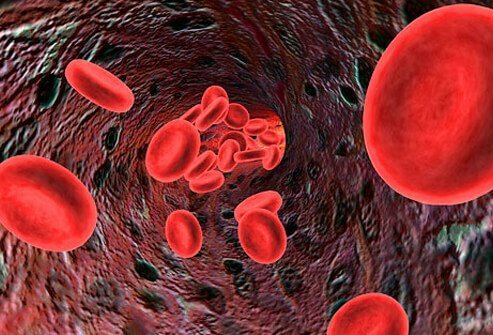 Red blood cells (pictured) carry oxygen throughout the body, and iron is a main component of these cells. Without enough iron, your body may not be getting the oxygen it needs for energy. Women who experience heavy menstrual periods, or are pregnant may be at higher risk for iron deficiency anemia. If you are anemic due to iron deficiency, you may be able to replenish your body's iron through diet. Iron-rich foods include meats, beans, tofu, potatoes, broccoli, nuts, iron-enriched cereals, and brown rice. Talk to your doctor if you think you need iron supplements to determine the proper dosage. Depression causes sadness and anxiety, but it can also cause physical symptoms including fatigue, insomnia, aches and pains. If you or someone you care about is depressed, seek medical attention. 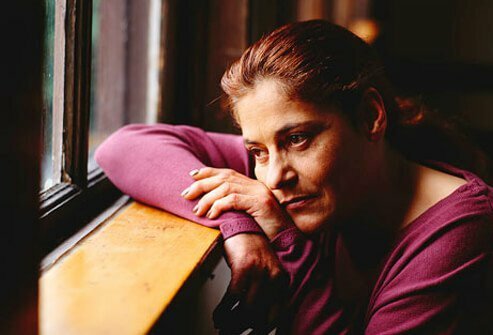 Depression may not resolve without treatment, and there are many treatments including therapy and medications that can help resolve symptoms. The thyroid is a gland that regulates the metabolism, or how fast the body converts fuel into energy for your body's functions. An underactive thyroid (hypothyroidism) causes fatigue, depression, and weight gain. A blood test can confirm if a person has hypothyroidism. The good news is that the condition usually responds well to replacement thyroid hormones. Most people take caffeine to help them perk up. In moderation, caffeine does improve alertness and energy. However, too much caffeine can cause jitteriness, increased heart rate or palpitations, high blood pressure, anxiety, and insomnia. 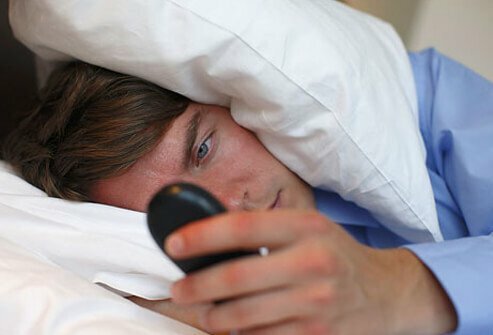 In addition, after caffeine wears off, users can 'crash' and feel fatigued. If you drink a lot of coffee, tea, or cola that contains caffeine, or take medications with caffeine, you will need to gradually wean yourself off these drinks, supplements, or medications. You may experience withdrawal symptoms if you suddenly eliminate caffeine entirely, so start slowly. First, start drinking more water and fewer caffeinated beverages every day. Common symptoms of urinary tract infections (UTIs) include pain or burning during urination, or the feeling or needing to urinate urgently or frequently. But UTIs can also cause fatigue and weakness. If you suspect a UTI, see your doctor. The usual treatment for a UTI is antibiotics, which should cure the condition in a week or two, alleviating the fatigue and the other symptoms. Diabetes can cause fatigue with either high or low blood sugars. When your sugars are high, they remain in the bloodstream instead of being used for energy, which makes you feel fatigued. Low blood sugar (glucose) means you may not have enough fuel for energy, also causing fatigue. 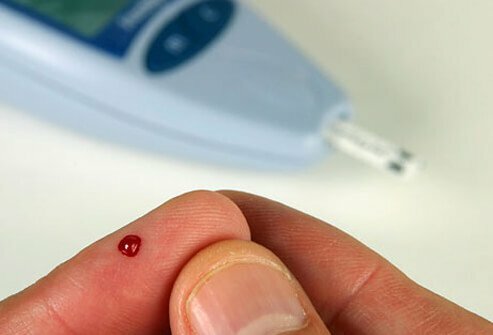 If you are a person with diabetes, it is important to manage your disease. Your doctor will often recommend lifestyle changes including diet and exercise. You may also be prescribed insulin or other diabetes medications to help you control your blood sugar levels. We all know water quenches thirst, but did you know a lack of it could make you fatigued? By the time you feel thirsty, you're already dehydrated. While any liquid will help hydrate you, water is the best option. It's free of sugar, calories, and caffeine. Most experts recommend about eight glasses per day, but you may need more if you exercise or live or work in a warm environment. If you're well hydrated, your urine will be clear or pale yellow. If it's darker, you may need more fluids. 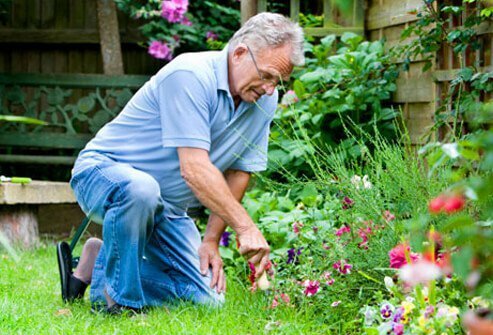 Have you found yourself fatigued by everyday activities such as shopping, cleaning, or climbing stairs? When the heart is less able to pump blood to all of the body's tissues, it conserves resources by diverting blood from the limbs and instead sending it to the vital organs. This can cause fatigue and may be a sign of heart disease. Heart disease is a serious condition and needs treatment, so talk to your doctor. There are lifestyle changes (for example, diet and exercise), medications, and physical therapy that can help you control your heart disease and help you get back to doing what you love. 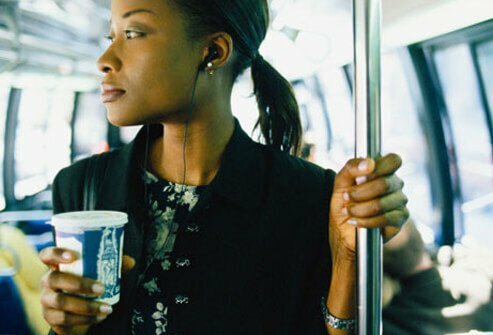 Shift work can wreak havoc on your body's 24-hour internal clock, or circadian rhythm. When you work nights or rotate shifts, your body doesn't know when to be awake and when to sleep, which causes fatigue. Daylight is often a cue to be awake. If you must sleep during the day, try to make your sleeping area as dark, cool, and quiet as possible. If you must work at night, keep your workplace brightly lit. Try to work night shifts all in a row and avoid frequently rotating shifts. Stay away from caffeine, and stick to a regular sleep-wake schedule as much as possible on days off. Food allergies can cause fatigue. Certain foods may contribute to chronic fatigue. If you feel sleepy after eating certain foods, it may be intolerance to that food. The best way to see if you are sensitive or intolerant of a certain food is an elimination diet. Eliminate suspected foods and see if there is an improvement in your energy levels. If you reintroduce the foods and the fatigue returns, the food just may be the cause. Talk to your doctor about the best way to go about an elimination diet. Chronic fatigue syndrome and fibromyalgia are conditions that can cause persistent, unexplained fatigue that interferes with daily activities for more than six months. Both conditions are chronic and there is no one-size-fits-all treatment, but lifestyle changes can often help ease some symptoms of fatigue. Strategies include good sleep habits (limit caffeine, keep your bedroom dark and quiet), relaxation techniques, light exercise, pacing yourself, and eating a balanced diet. Some of us are simply tired with no medical cause. The good news is that exercise may give us a boost. 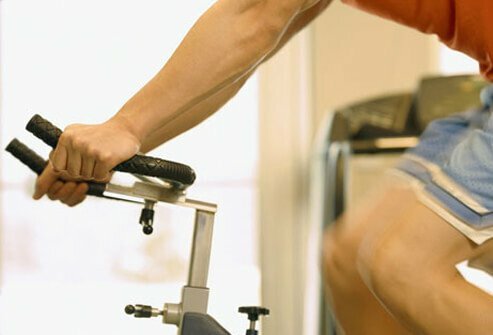 Studies consistently show that people who engage in regular exercise feel less fatigue than those who don't. When exercising for energy stay in the low to moderate exertion range, such as walking, yoga, or light resistance training to fight fatigue. UpToDate: "Approach to the Adult Patient with Fatigue." 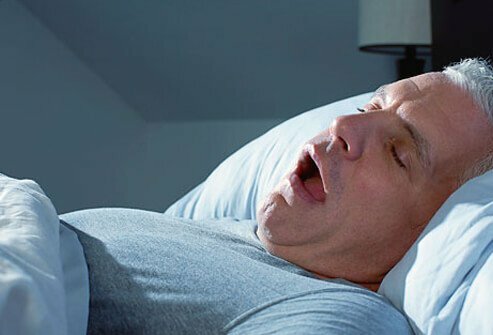 UpToDate: "Overview of Obstructive Sleep Apnea in Adults." WebMD: "Coping With Excessive Sleepiness." WebMD: "Exercise for Energy: Workouts That Work." WebMD: "Living With Fibromyalgia and Chronic Fatigue."